In UCS we can create these things called WWxN pools. The “x” in WWxN can stand for either “N” node, or “P” port. This is essentially a pool that you can use for all of your WWN assignments without having to create separate WWNN and WWPN pools. For people who don’t necessarily care about a schema to signify the difference between WWNN and WWPN, maybe the streamlined WWxN pool is for you. 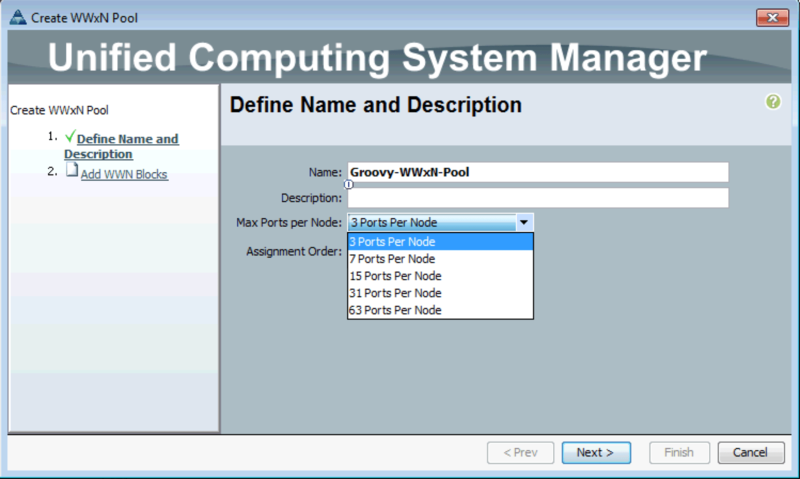 Give it a groovy name, and then check out the next option – Max Ports per Node. We have a few choices. 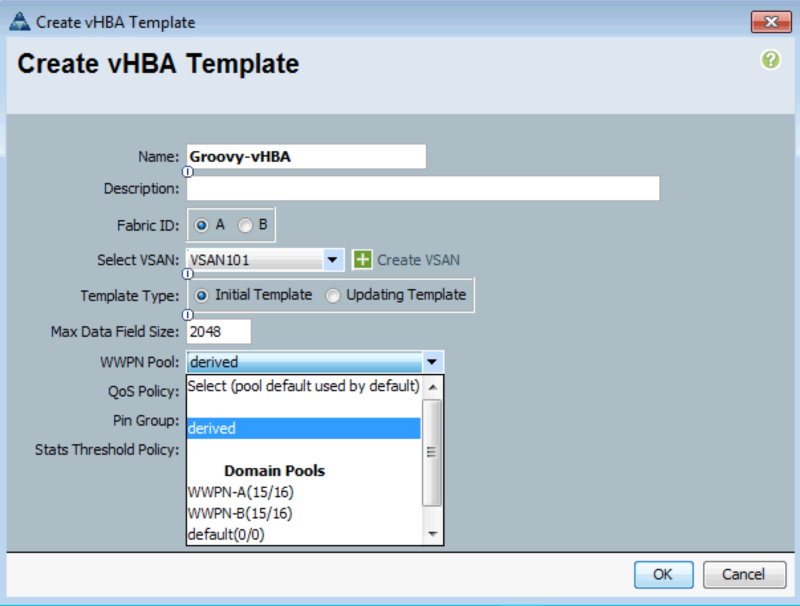 Quite unusual options considering typically your servers are only going to have a pair of vHBAs, and if they happen to have more, they’re likely in pairs. When creating the pool, you will need to add 1 to this value to account for the WWNN, as you’ll see below. 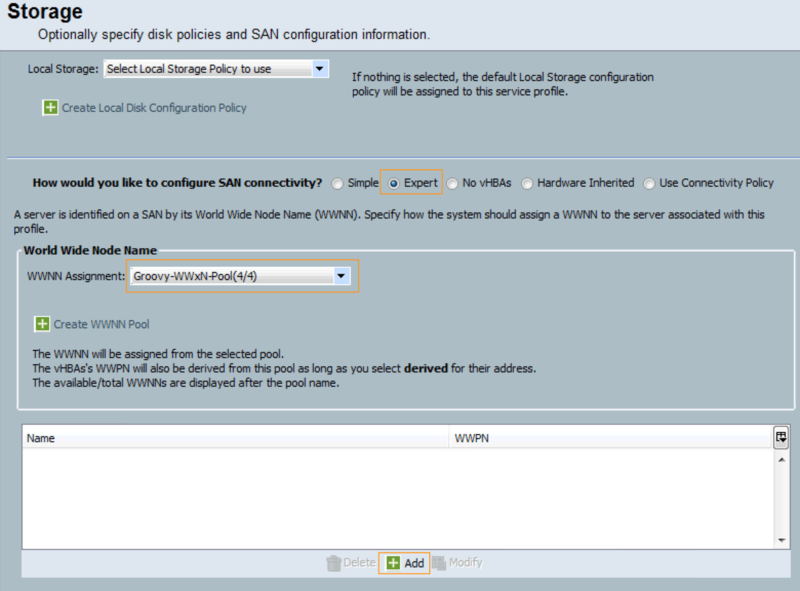 So if we were to choose “3 Ports Per Node,” this would allow us to assign 1 WWNN and up to 3 WWPNs per blade. I agree with the knowledgable Robert Burns that these options should probably be corrected to 2, 4, 8, 16, 32. 64, rather than 3, 7, 15, 31, 63, but hey, we work with what we get, right? Failed. Remember, you must always add 1 to the ports per node value you that you choose. This is to account for the WWNN. Let’s go back and change this to 4, and finish. Now that we have the pool created, we can use it! You are free to use this wherever you previously could specify a WWNN pool or WWPN pool. First, we’ll create a vHBA Template. What you want to do is set the WWPN Pool to “derived“. When you attach this template to a Service Profile, you’ll choose your WWxN pool for your WWNN assignment, thereafter your WWPN assignments will be derived. 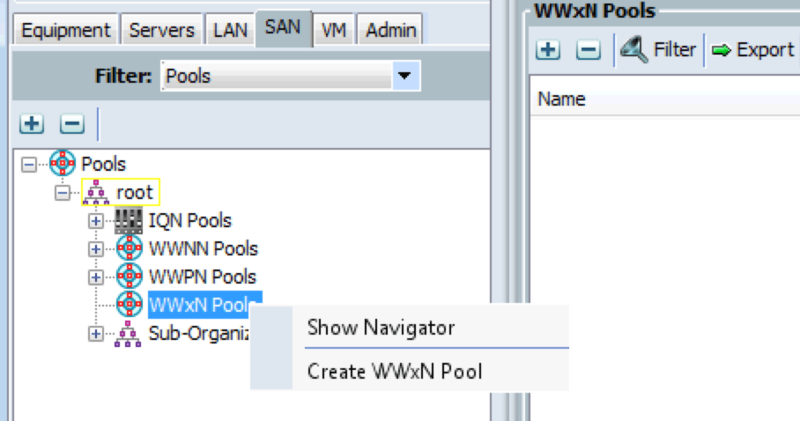 When creating your Service Profile Storage setting, choose Expert, and set the WWNN Assignment to your WWxN pool. 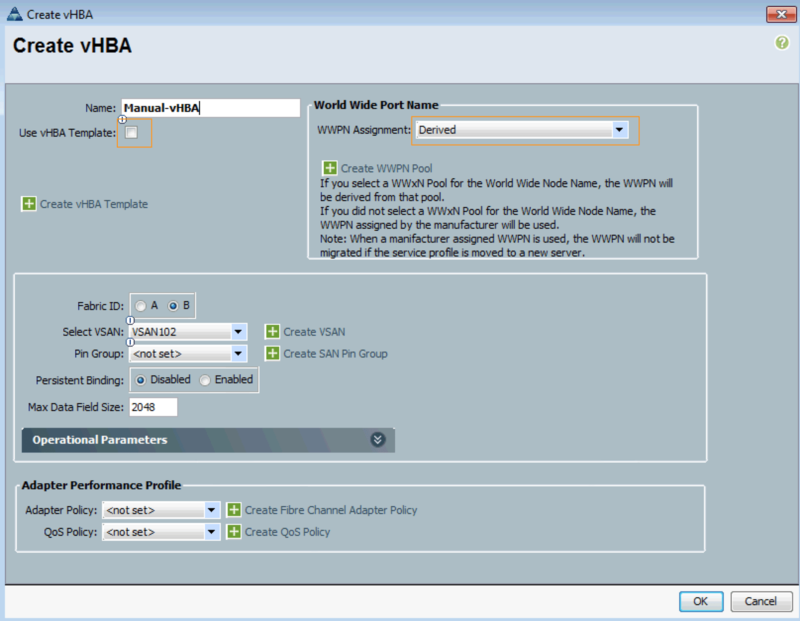 Then click Add to create some vHBAs. 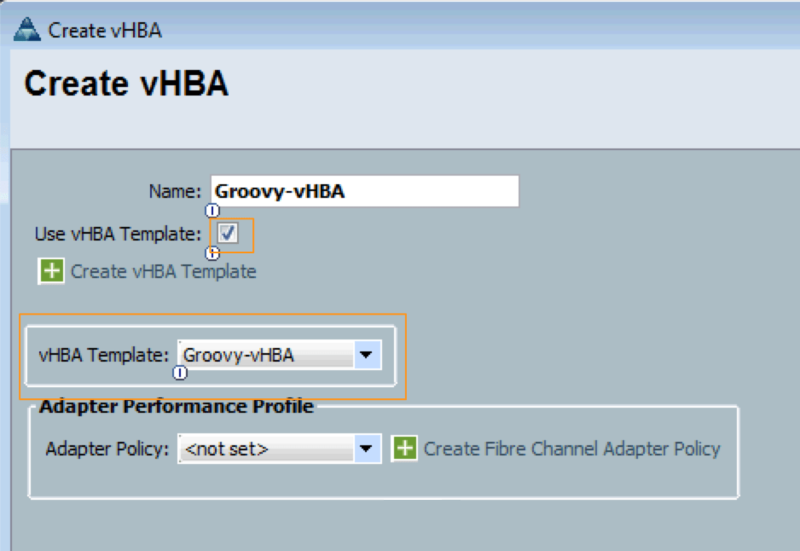 What happens if you add more vHBAs than your Max Ports Per Node setting? I would like to point out one more thing – The “Max Ports per Node” value that you choose is important. If you ever wanted to have 4 vHBAs here on this host, you would never be able to. 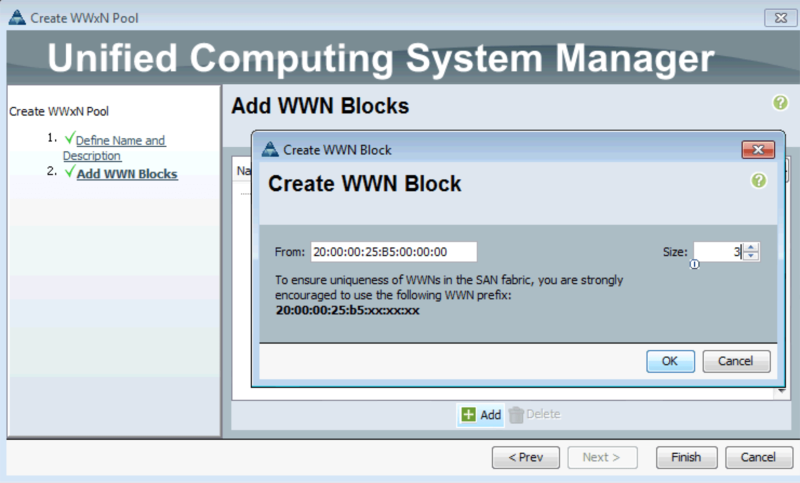 Even if I added more WWNs to the WWxN block, they would never be usable if your “Max Ports per Node” has already been reached.